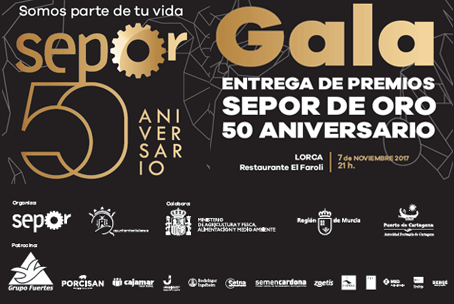 The 50th edition of the fair Ganadera, Industrial y Agroalimentaria Sepor was held on the 6rd till the 9th of November 2017. This fair took place in Huerto de la Rueda, Lorca (Murcia). 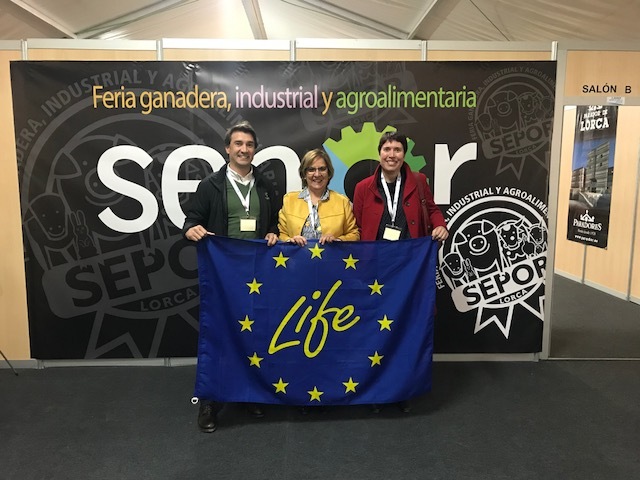 SEPOR is a fair that has tradition and also has the backing and support of professionals, commercial firms, experts and above all, popular support. The fair allows one another to promote contact between different stakeholders of livestock in all its spheres: producers, laboratories, teachers, unions, etc. Our colleagues from COPISO attended the event by participating actively and by asking questions during different technical session and oral presentations. In addition to that, they took the opportunity to contact with European projects and diverse experts, that have similar goals to our LIFE14 Smart Fertirrigation. Approximately 250 information leaflets were given. COPISO team contacted with Ms. Mª Cruz García and Ms. Mercedes Sánchez from the Agricultural Technology Institute of Castilla y León and from the University of Valladolid. Both entities participate in the LIFE AMMONIA TRAPPING project (LIFE15 ENV / ES / 000284) that aims to design a solution for the use of the ammonia emissions from the slurry in the pig farms. Work meetings are planned between COPISO and participants of this project to exchange the knowledge generated in more advanced stages of development. Sustainable agronomic valuation of slurry in semi-arid zones with high livestock production. Speaker: Mr. Ángel Faz Cano. Responsable of the research group management, use and recovery of soil and water (GARSA). Polytechnic University of Cartagena (UPCT). Reduction of ammonia emissions in Mediterranean agriculture through innovative fertigation techniques with slurry. Speaker: Ms. Dolores Quílez Sález Sáez de Viteril. Head of the Soils and Irrigation Unit (associated with EEAD-CSIC) Aragón. Manage slurry in vulnerable areas. Speaker: Ms. Mercedes Sánchez Gáscones. Vice-Rector of the Campus of Valladolid-Campus La Yutera. Advances in epigenetics and reproductive biology. What can they contribute to pig production? Speaker: Mr. Sebastián Cánovas Bernabé. Researcher of the project H2020-REPBIOTECH. Here you can download the program of the day in pdf format.